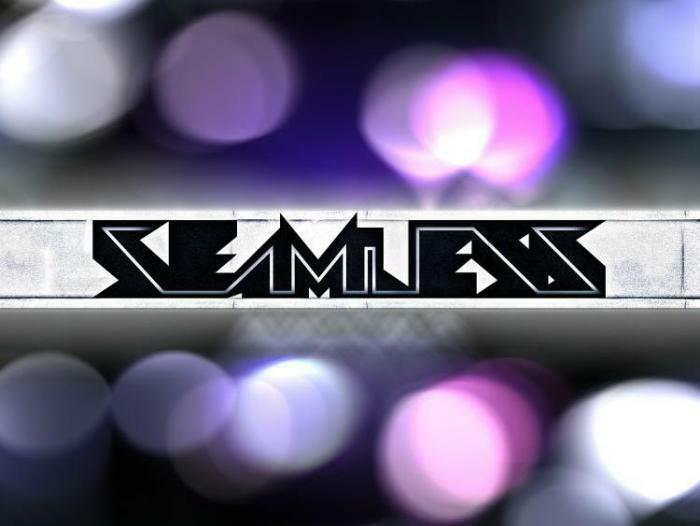 Hi, I'm SeamlessR (it's pronounced "Seamless"). My real name is Stephen, I was born in 1988, and I live in Massachusetts USA, with my Mother. My family on my Father's side has always been very musical. My dad is a Jazz/Rock drummer and was always big on listening to music with me. When I was young my parents decided piano lessons were a good idea. Mostly geared towards classical stuff. I hated it pretty intensely for many, many years. I had a particular knack for it, though. I was kept in lessons for about 8 years. Around when I started doing metal was when I was firmly set with the idea that I would be doing music as a career. Or rather that I would try as hard as I could to ensure I do music as a career. I was in a band at this point (still am, it's called "Krakatoa") but at no point did I consider that my career would be as a musician or really as a musical entity. My skills and passion were more on the engineering side of things. 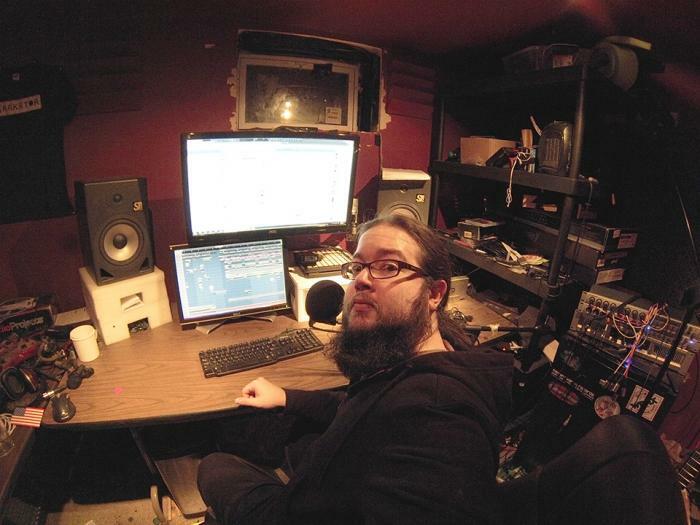 So I built a recording studio in my Mother's basement and set out to record local metal bands as a career builder. Why did you decide to make YouTube production tutorials? Deep in the beginnings of what probably would have been a fine metal recording career I discovered a number of key things. The first being Harmor, the second being how FM Synthesis worked. Through these two things I was able to create sounds and songs that I tried so hard to make way back when I first started producing. Harmor was the biggest game changer. It allowed me to do things in a simple way that I have only ever seen done through extensive effort and expenditure of time. I was so floored by the simplicity and power of this technique that I had to tell everyone. Primarily because, having spent years looking, I knew there was absolutely no tutorial out there that got someone this close to something so powerful. I didn't plan to make a series of it, or even continue after that first video. But it ended up being a hit and I saw potential in creating content like that. I took inspiration from other YouTube entities (a big one being a StarCraft "teacher" Sean "Day9" Plott) as to how to proceed and I went with it. If you actually go back and watch that first tutorial you can see it's pretty cringe worthy. I hadn't yet found myself as a tutorial creator. The one thing that pushed me forward though was the idea that I wanted to make the tutorials that I wish I had when I was looking for this stuff. You've put out lots of free tracks before your first EP and even released the FLPs, why did you wait so long to sell your music comercially? To be completely honest, I did not see a value in my music as music. I'm not being depressing or self hating, I made an observation as objectively as I could. I had just started to really do the kind of modern "EDM" that exists now. Even if I were able to make music as perfectly as the super stars, I asked myself why would anyone choose to listen to me over them? What do I offer that the already established artists don't already do? So I continued to make music, but I treated the tracks purely as glorified tech demos of the techniques I taught in my tutorials. Proofs of concept. I didn't expect people to ALSO like them on their own as music. I went to a performing arts high school called PVPA (Pioneer Valley Performing Arts in Massachusetts). PVPA has this thing called "Paideia" where, between semesters, we would take three weeks and dedicate the entire day to performing arts related stuff. Among the many, many options there was "Electronic Music Paideia" (referred to as "Techno Paidea" ;p). This is where, in the 10th grade, I first encountered FL in the form of Fruity Loops 3. FL 4 was already out but the school didn't have the upgrade. I spent those three weeks messing around with it and making horrifying music. After that I convinced my Mother to buy FL 4 Producer Edition (Yay for mums! Ed). I feel like I had the perfect growth as a producer with FL. I started with FL 3, got used to it and familiar with what it had to offer. Right when I felt I had a grasp on it (I didn't, but I thought I did ;p), I saw FL 4 and some of the things it had and could do. New versions would come out right when I'd gotten comfortable with the previous version's content and capability to offer new things and new possibilities. It felt like FL grew as a tool side by side me growing as a producer. As a result, FL Studio is the center of everything I do. I have tried to use other DAWs, but I really can't. At this point, working in FL is faster than anything else for me. Even if another DAW does some particular thing better. Not using other DAWs I am most of the time not aware of how different FL is. Other producers are constantly surprised by some things that can be done with FL that I just take for granted. My studio is a bit odd considering what I spend my time doing these days. It was originally built to accommodate recording a metal band. Which really meant special consideration for recording a drum kit. So I have two Presonus Firestudio Projects, which are 8 microphone preamps each. Connected to a 16 channel mic snake that runs through a hole in the triple thick rockwool insulated, quietrock sheeted walls into the other room with rounded corners. I make use of that room sometimes. Usually for my own band. These days I rarely use more than 4 of those 16 inputs. I use KRK ST8 monitors powered by an Alesis RA150 studio amp. One 27" 1080p monitor that hangs from the wall on a monitor arm (monitor arms are the coolest things ever made), and one 19 inch 1050p monitor that I put wherever I can at the moment. My PC (as of this interview) is custom built with an Intel i7 3770k 3.5ghz quad core CPU, 32 gigs of ddr3 ram, an Nvidia GTX 670, one 256gb SSD, two 512gb SSDs in raid 0 for 1TB of SSD, a 1TB internal HDD and a 1TB external HDD and Windows 7 professional 64 bit. My first guitar was a Schecter Damien 6, my second is one I got recently which is a Douglas Grendel 727. I have three bass guitars, a Samick 5 string, an Ibanez 506 6 string, and an SX Ursa fretless 6 string. I attached two 25 key keyboards to my Ibanez and I play that in my band "Krakatoa". I have a Behringer CMD Studio 4A that I use with Deckadance and two Launchpads. One of them one of the few ever made branded with the FL logo (Thanks for that! :D). There are very few third party VSTs that I use regularly anymore. I use East West Quantum Leap Symphonic Orchestra for my orchestra related stuff and Valhalla reverb plugins, particularly "Shimmer". Harmor and Sytrus are enough for me to cover almost everything I'd ever want out of synths and FL's effects similarly do everything I want to do. Especially Maximus and Vocodex. I have only just started entertaining the idea that I could have something in the way of a regular musical career. But that will always be second to my work educating people as much as I am able to through my tutorials and private lessons. I learn everything I can so that I can teach everyone everything I can. I won't ever hold back secrets to power that I uncover (except for ones that aren't mine to tell ;p), I want new producers to have a clear path towards making the kind of music they want to make.